The Designer Coffin Gems® Solitaire ring! The prototype of our Accent Ring, this was designed to hold a solitaire Coffin Gem with a little more of a high-fashion designer look than our regular solitaire ring. 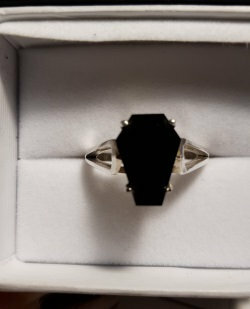 We use USA grade (.925) sterling silver in all of our jewelry designs, and this ring sports our Death (black onyx) Coffin Gem! 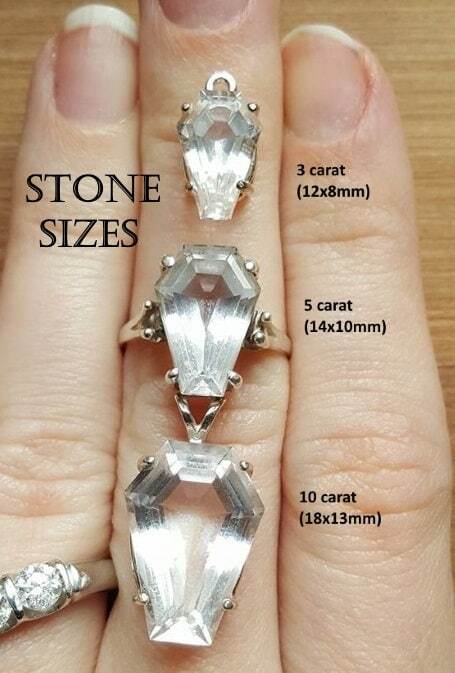 This ring is a size 9. 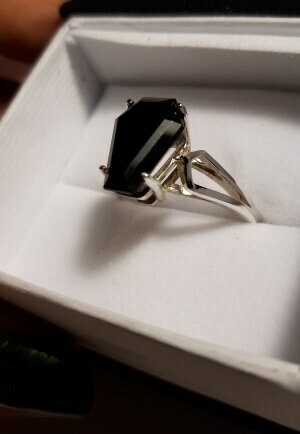 Regularly $229.99, you can get this ring for $179.99!